When Sajjan listened the Divine melody, he realized that Guru Ji’s words were actually addressed to him. 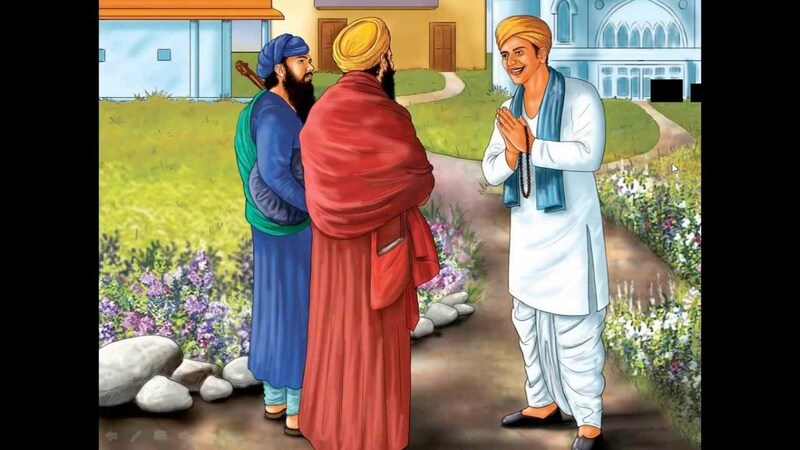 Upon hearly the sermin, he made his obeisance and fell at Guru Ji’s feet, and prayed to him to pardon his sins. Guru Ji said, “Sajjan, in the Sovereignty of God, grace is obtained by two things, open confession and reparation for wrong.” Sajjan stood in submission. Guru Nanak Dev Ji asked him to give all of his ill-gotten wealth to the poor. He obeyed the mandate, became a follower of the Guru and started meditating on God regularly.